Come Singing was set up in 2012 by volunteers from across Norfolk with the aim of providing therapeutic singing sessions specifically for people living with dementia and their carers. The volunteers who lead the sessions all have some experience of dementia. Come Singing currently run over 20 monthly singing sessions in hospitals, care homes, day centres, community centres and libraries. The sessions are very popular and the response from participants, carers, staff and regular attendees suggest how much the singing is valued. Music Mirrors helps people at an early stage of memory loss to make very simple digital resources which link their life stories, told in their own words, to recorded music. 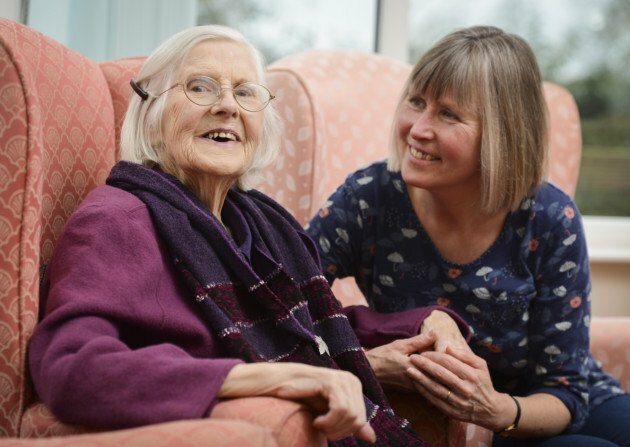 Trained volunteers help to make simple Music Mirrors with and for people experiencing memory loss and encourage better understanding of people with dementia, especially when they can no longer speak for themselves. This is done in such a way that it is easily portable, to follow someone all the way through their journey should they move from one care setting to another, or go into hospital, the information can readily be passed on to help them connect with unfamiliar carers who might have few other clues for getting to know them. Music Mirrors has grown in recognition and was a featured item on BBC news (https://www.musicmirrors.co.uk/), the project is now well known both in and outside of Norfolk. Within Norfolk, Music Mirrors is used by charities including Age UK and Independence Matters. It has also been used by Norfolk County Council and Norfolk and Suffolk NHS Foundation Trust as a practical element of care planning and for use on discharge/ hospital admissions. On the stroke ward of a general hospital, dementia support staff used Music Mirrors on a bedside iPad with a seriously ill patient. Brief text described her North-Eastern childhood and hyperlinks to Youtube called up favourite Geordie songs. Both were key in reaching her when communication was difficult. Her daughter later wrote that this had been ‘the conduit for some of the greatest times of joy in my mother’s last distressing weeks’. We would never have managed all that we've done without the support and guidance of Norfolk Community Foundation.